You can’t deny the fact that keeping all your customers happy is very important to make your business grow. What do you think you can do to improve your relation with your customer? The first answer that will come in your mind is improving customer service. No matter how good your product is or how intelligent your staff is, one of the things that customers always remember is the interaction they have with your company. Below are some tips that will help you in improving your relations with your customers. Include a live chat option in your website- Live chat function in your website will allow you and your staff to connect to the people visiting your website in real time. It will make it easy for your customers to communicate with your team. Know about the problem of your customers- To know about the problems that your customers are facing, first you need to observe them properly. Do they look annoyed? Is your staff not communicating with them properly? What type of problems they are getting while using your product? After knowing about the problems your customers are facing, immediately start taking steps to solve them. Be humble- You should know how to manage your emotions and stay calm. This will make it easy for you to deal with dissatisfied and confused customers. When you will stay calm, your customers will feel much more respected. Include FAQs in your website- Try to provide your customers with a list of frequently asked questions on your website. This will answer their questions even before they ask anything. However don’t forget to place your FAQ in a place where it can be easily found. For example, you can place them on your contact page. Focus on the feedback of your customers- No matter how good you are at solving the problems of your customer; you will not be able to get in front of every customer issue. To make sure that you know about the experience every customer is having whether it is good, bad or ugly, make an easy way for your customers to give feedback. By getting feedback from your customers, you will be able to know about your strengths and weaknesses. This will further give you a chance to improve yourself. This entry was posted in Uncategorized and tagged business analytics, business continuity, Business Intelligence, client satisfaction, dedicated server hosting, dedicated server unlimited bandwidth, good customer service, high client satisfaction, hosting good reviews, Managed Hosting on May 17, 2017 by Jill. Are you looking for more transparency in infrastructure, application performance and cost? Request your end users improved service levels or your business needs improving SLAs to meet your business needs? Do you want to reduce the total cost of infrastructure and application management? Need Managed Services at the company level, which is not offered by local and specialized firms for infrastructure & application management? 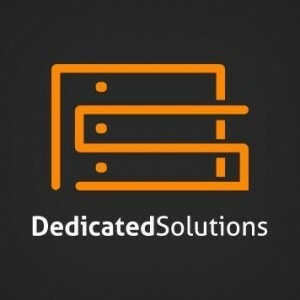 Improve your service and minimize your risk through proven techniques, tools and competent of DedicatedSolutions services. DedicatedSolutions infrastructure and application management functions allow you to dispense the daily management of business applications and the underlying infrastructure including servers, operating systems, network devices, storage, firewalls and associated desktops to a trusted partner. Put IT time freely and focus on strategic business initiatives. These services support all devices, anywhere, without compromising brand, device type or geographic location. We also support hybrid deployments (hosting, colocation, cloud) and provides 24×7 service support. Remote infrastructure management: Including remote management of servers, storage, networking, security and disaster recovery. Application management: Including management for infrastructure applications on the market standard products and custom applications. Stability, control, and transparency: It improves minimize your risk and downtime and improve your business continuity. 24×7 proactive monitoring and linking of incidents to identify and solve problems that require special attention. Timely measurement, tracking, and reporting of performance provides real-time control and analysis of historical trends. We offer excellent service with 24×7 proactive monitoring. Improved service levels and user experience: provision of quality levels for the support of business applications and end users. Take advantage of best practices with a single Helpdesk, including process-based approaches to problem-solving and escalation to ensure compliance with predefined SLAs. Automation improves system availability, and offshore methodologies streamline infrastructure and application operation. Cost and budget control: You reduce costs and thereby achieve the desired service level. Take advantage of tools and expertise to automate management processes can reduce manual effort and improve efficiency and capacity planning to cut costs without a negative impact to have the service levels. Bridge resource and skill gaps: Take advantage of our technical expertise with proven infrastructure and application management functions. The experts at DedicatedSolutions have practical, hands-on experience with the implementation of targeted infrastructure and application management capabilities of modern technologies, all which can be used in each data center in the world. DedicatedSolutions responds to IT complexity with comprehensive managed consulting and implementation services that foster innovation, increase agility, reduce by an increased efficiency costs and so provide a competitive advantage. Unlike traditional IT consulting companies that play an advisory role, DedicatedSolutions provides comprehensive, practical expertise with proven best practices. With our end-to-end managed services, which include the development of strategies, planning, design, implementation and ongoing management of your applications and infrastructure, DedicatedSolutions can support hybrid IT in our own data center. This entry was posted in DedicatedSolutions, Managed Services and tagged business continuity, DedicatedSolutions, IT services, Managed Hosting, Managed Services, managed solutions on June 13, 2016 by marketing. The business context has changed significantly in recent years. The companies need to work ever more agility, life cycles of products have become shorter, and information flows have accelerated. This is because customers are increasingly demanding, and businesses need to adapt if they adequately serve this new market. To this context a new technological framework that may require greater modularization and scalability. Each organization has different needs, and it is suitable for each technology, which is causing different technology models to coexist. Among them, the cloud is the model that is establishing itself as the reference in this new reality. The data have become the primary asset of enterprises and cloud technologies allow manage with greater agility. Given the coexistence of different options as both private and public, companies are adopting a hybrid cloud model. In this context, DedicatedSolutions is positioned as a leading managed services and cloud provider with flexible models based on service and pay per use. Its offer PaaS, SaaS and IaaS cloud. At all levels, security, data integrity, and communication are key elements. In recent years, companies have gone from a technological environment based on own infrastructure to incorporate the services of outside vendors. Consequently, companies must manage a combination of public cloud services and in sometimes own private clouds. In this hybrid environment, data have become the primary asset of business. The differentiation in products and services is focusing on quality, management and delivery of information. Consequently, the competitive advantage of companies will depend on largely how to manage these elements. The most important criterion for businesses is security. Once data leave corporate facilities, organizations want to maintain visibility into how protects and regulates the information. Therefore, companies need to ensure suppliers control, visibility, and integrity of your data. The industry is responding to that need. The second accelerator is the ability to move data and workloads among different clouds. The challenge of data portability goes beyond the mere fact of transferring the data from the public clouds to corporate facilities. IT departments must be able to move data between all economic cloud environments, smooth and dynamic. Thus, they can adapt to ever-changing business needs, and optimize the benefits scalability and elasticity that presents the cloud environment. Regarding the economic criteria, companies pursue savings and acceleration returns. The capabilities of economies of scale offered by cloud providers with the ability to provide pay per use model allow maximize savings and accelerate returns on investment. Finally, ensure that the data remains in the country or region is a concern in the organizations. Provide visibility into the location of data is a criterion of great importance for businesses and a differentiator between providers. DedicatedSolutions is aware of the complexity of managing this hybrid environment with multiple providers and changing demand. Therefore, it is positioned as a provider of multi-cloud services. We have developed the cloud and managed services offering payment mode use so that companies can hire the services they need and when they need them. This entry was posted in Cloud Computing, DedicatedSolutions, Disaster Recovery, Managed Services, Private Cloud, Public Cloud and tagged business continuity, cloud computing, DedicatedSolutions, hybrid cloud, Private Cloud, Public Cloud on May 24, 2016 by marketing.